Twenty delicous lessons. Twenty different projects involving painting faces. giving you 20 paintings to look back on with pride. 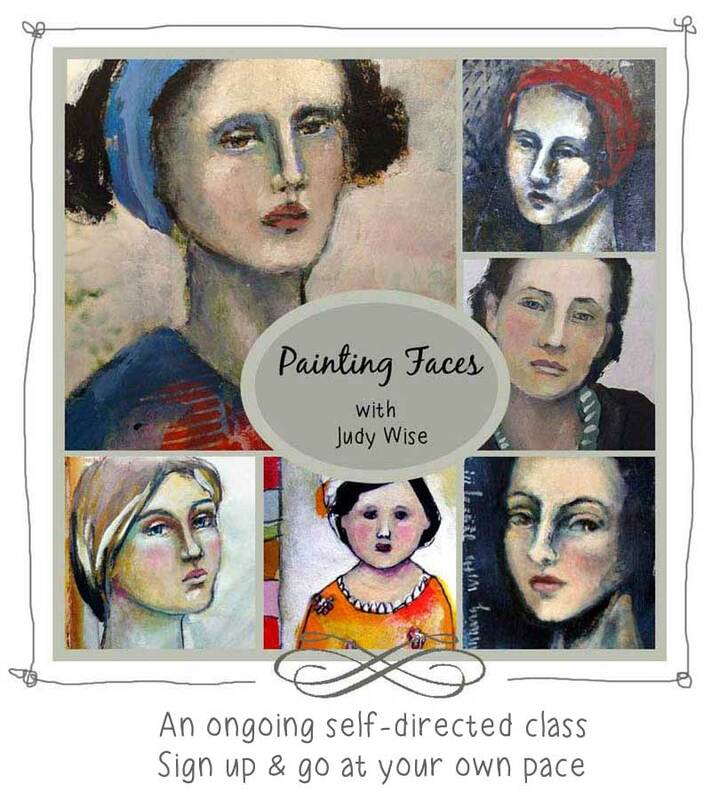 I hope you'll join me in this online painting workshop as I share my approach to painting faces. I've designed the course to appeal to both beginners and advanced students. Through a combination of demonstrations and projects, we'll learn mixed media techniques as well as my approach to painting the face. and fabric. You can participate by working on paper or on your favorite substrate. I'll be doing many of these projects in my journal. The class site and all the links will stay up indefinitely. There is a facebook group you can join if you'd like to meet and chat with other students in the class. and I look forward to sharing my enthusiasm and knowledge with you. Once registered you will receive a class link and password. If you fail to hear from me, please check your spam drawer. You are an excellent instructor, and don't hold back anything. You are so generous with what you share. You so clearly show and explain your techniques as well. I will miss you as you start my day off everyday. Thank you for always giving so much in your classes. You are a true treasure.